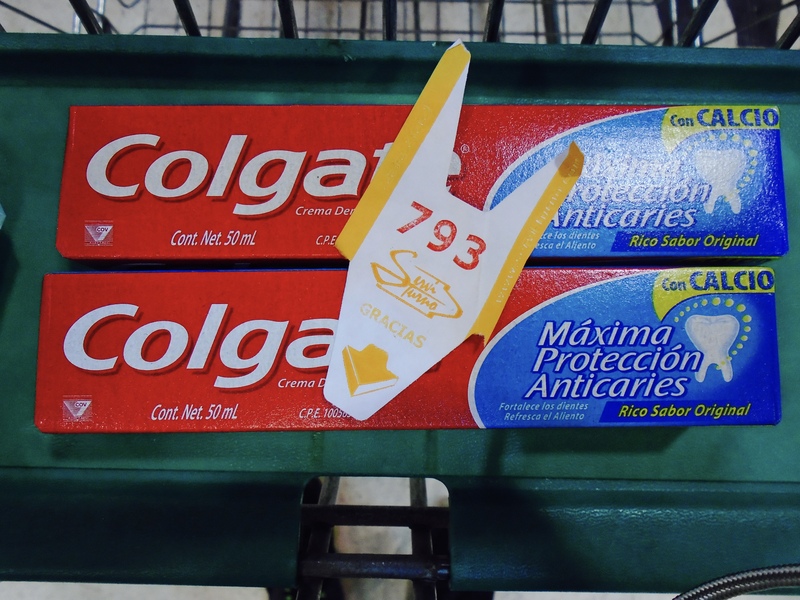 How long does it take you to buy toothpaste? For Venezuelans, this is a lengthy answer. Regulated Toothpaste. Photo Credit: Carlos Perez Rojas for Directus International. ©2015. Directus International. All rights reserved. You have to account for the amount of people outside of the store. People waiting outside of supermarket hoping to buy regulated goods. Carlos Perez Rojas for Directus International. ©2015. Directus International. All rights reserved. People waiting inside supermarket to pay for regulated goods. Carlos Perez Rojas for Directus International. ©2015. Directus International. All rights reserved. 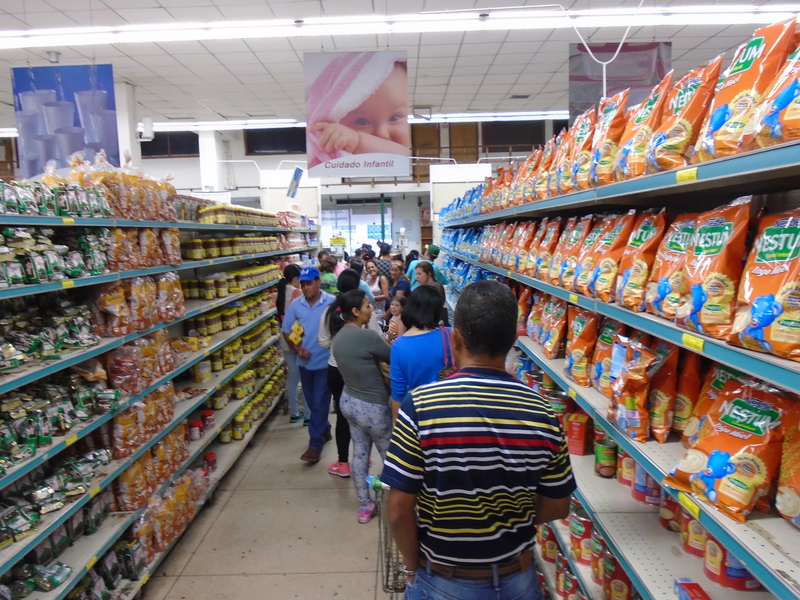 Also, you have to take into consideration the day of the week in which the ending of your Venezuelan ID is allowed to purchase regulated goods, which varies according to the supermaket chain. 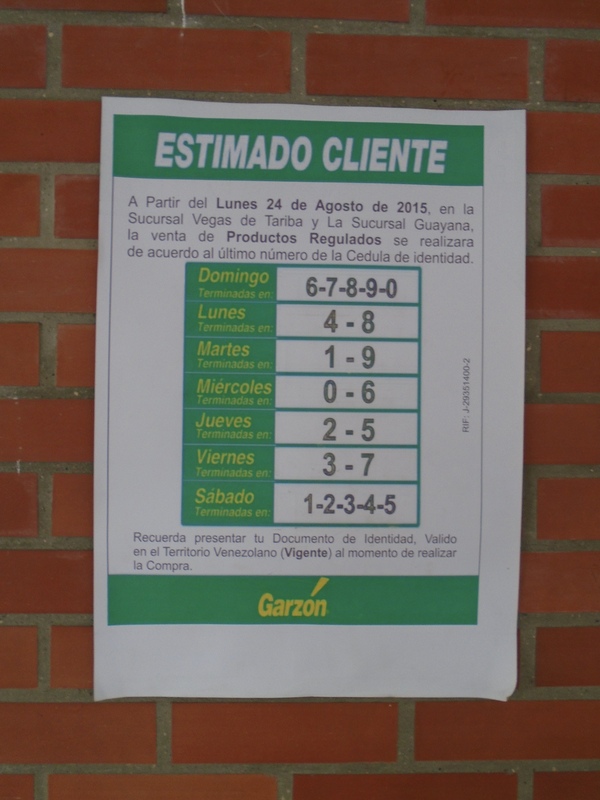 A sign at the entrance of supermarket informs customers which ID ending (1 through 0) is allowed to purchase regulated goods each day of the week. Carlos Perez Rojas for Directus International. ©2015. Directus International. All rights reserved. Thanks to a lack of in-country production and heavy government regulation of its market prices, basic products such as toothpaste, flour, diapers, butter, milk, rice, toilet paper and many others, are not easily available to the public. 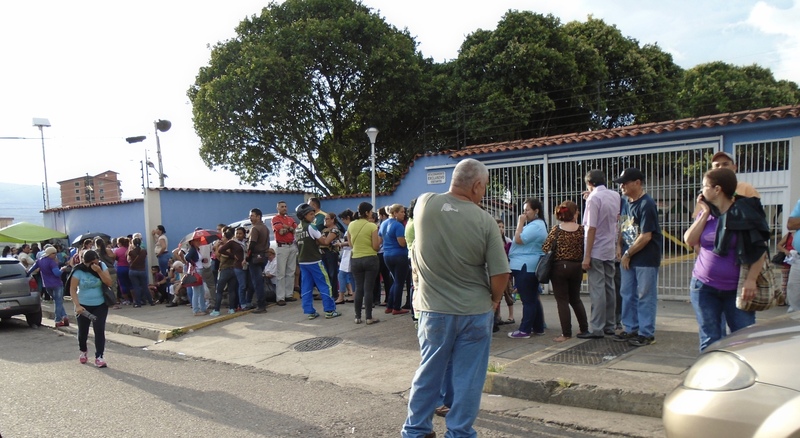 How do Venezuelans cope with this and how does it affect their daily lives? Starting this week, we explore this and many other experiences with scarcity in Venezuela on our new digital storytelling series.